A new line of Spring J-Hawk Apparel is here! This spring we are providing an e-flyer, meaning orders are all placed online and will be bundled and sent to the high school after production. Please check out the new items at urbandalespring.itemorder.com. For sizing, please review this size chart. The order deadline will be April 7th at 11:59 p.m.
Orders will be filled and available for pickup in the Activities Office at the high school 2 to 4 weeks from the deadline. Email communication will inform you of exact pick up times. 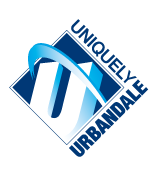 Any questions about apparel can be directed to Andy Hoverson, Associate Athletic Director, Urbandale CSD. 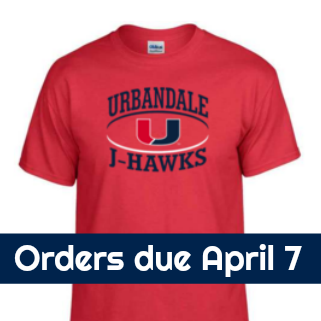 Thanks in advance for supporting the Urbandale Booster Club!